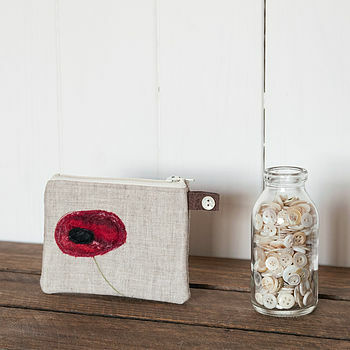 From my new range - Poppy. This small purse features two of my favourite things, linen and my own handmade felt. These purse are a fantastic gift either for youself, or for someone with equally good taste! Each purse is unique and expresses individuality rather than conformity. With the unique felt and two tone stitching this is an unusual and beautiful gift to give and receive. 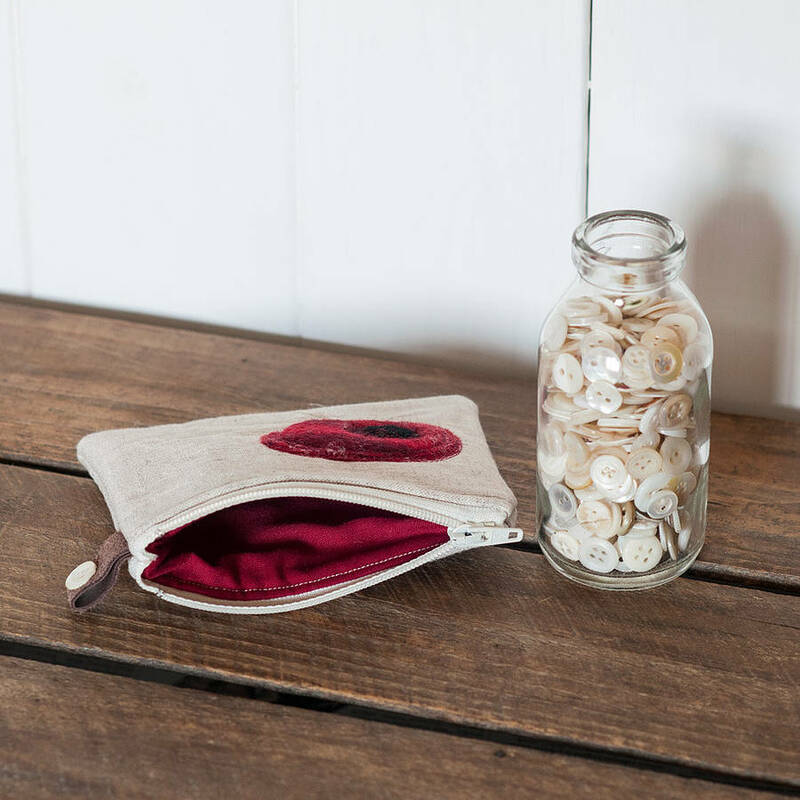 They are great for carrying cash, and a little bit of make-up that need to be put in a pocket, or in a slighter bigger bag for an evening out, also by being padded they will keep all your goodies safe. Made from linen with my own handmade merino and silk felt, and lined with matching red cotton. 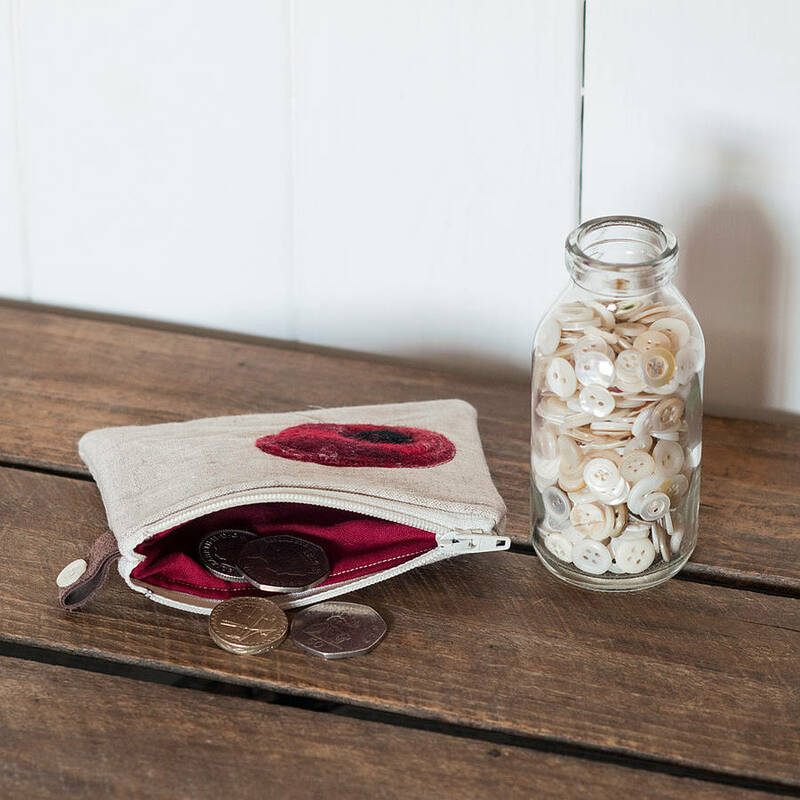 Each purse features a vintage mother of pearl button, on the suede tag. Each button is unique, and has its own tiny history. Please do remember that each one is handmade and unique, so will never quite match the main image.